Our ability to grow in EQ has an enormous impact in all of our relationships. There’s also a new up and comer, CQ, or curiosity quotient, which refers to one’s ability to have a powerful motivation to learn a particular subject. What I spend much of my time in both research, and in working with clients and organizations on, is focusing on emotional intelligence. The most emotionally intelligent and resolute people are deep-thinkers that analyze and process all new information that comes their way. They continue to analyze old information, habits, and ways of doing things to see if they can extract ways to improve. We’re all “analysts” in the sense that we consciously think about all new information that comes our way. The emotionally intelligent mind is able to discern between things that they need versus things that would be “nice to have” that classify more aptly as wants. 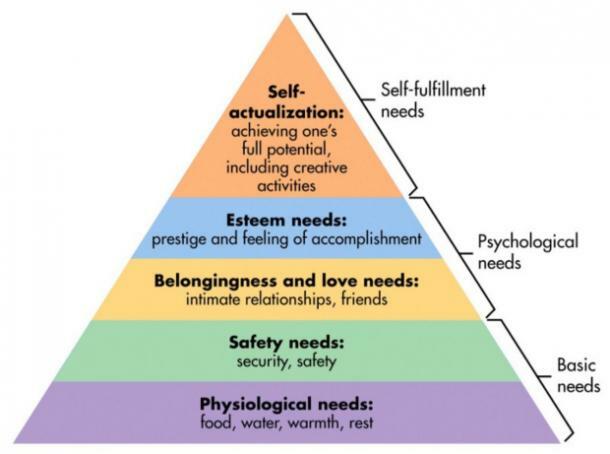 A need, particularly in the context of Abraham Maslow’s “Hierarchy of Needs” is the basic level stuff like safety, survival, and sustenance. Once those things are met, then we can progress to other needs and of course, wants. Inspired leadership and love for what you do is born from having a passion for a subject or people. People with a high EQ use their passion and purpose to ignite the engine that drives them to do what they do. This passion is infectious and contagious — it permeates all areas of their lives and rubs off on the people around them. Last but not least, an emotionally intelligent person is interested in overall success and achievement — not just for themselves, but for their peers. Their inspired leadership and passion, combined with their optimism, drives them to want to do best for themselves AND others. Too often, we get so self-absorbed and concerned only with “WIIFM,” or — What’s in it for me? We have to be concerned about this. It’s a must, so don’t let anyone ever convince you otherwise. But in the same way that we should be focused on our self-interest, we should also maintain a spirit of desire and hope for wanting to see the people around us succeed. Join my newsletter and check out my bestselling book, The Value of You. This will give you inspiration to start planning for success on your journey. If you’re interested in working with me try me here.